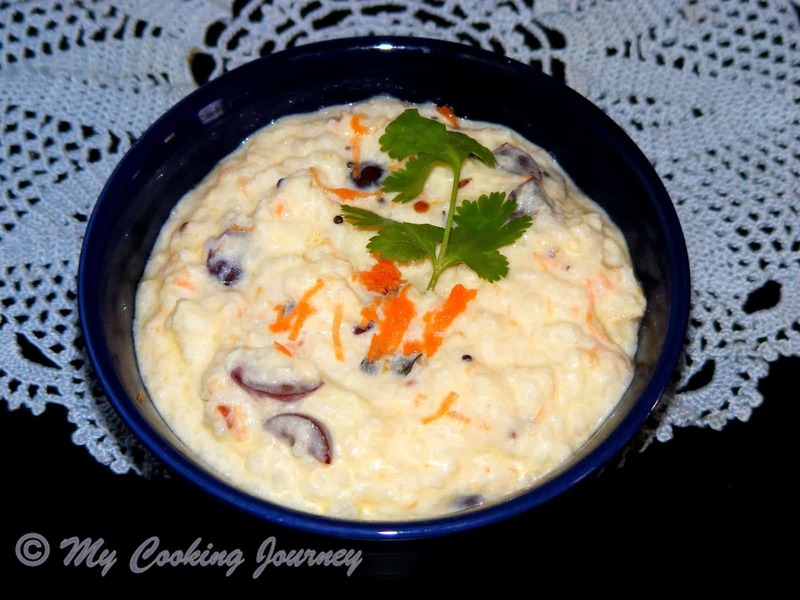 For the month long April marathon’s first week theme, Traditional South Indian Wedding recipes, I am moving up to the actual wedding day recipe. 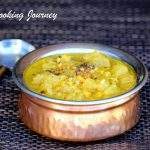 For the past three days, I wrote about my favorite recipes that are made during the Maapilai Azhaippu/ Nitchyathartham. 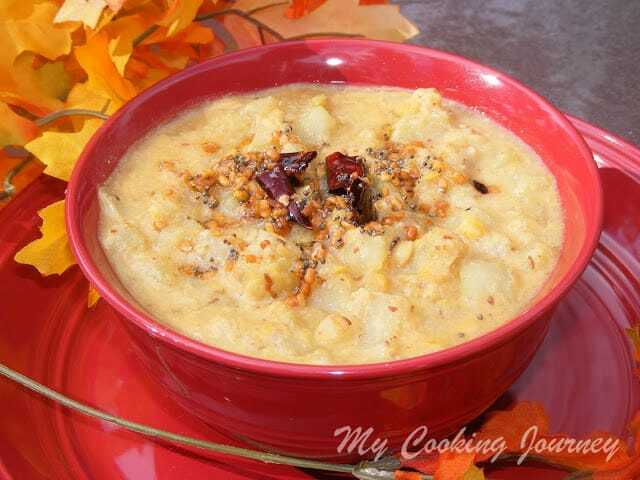 There are few wedding recipes that are a must have and can be seen in every wedding. 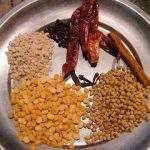 One such dish is Aviyal. 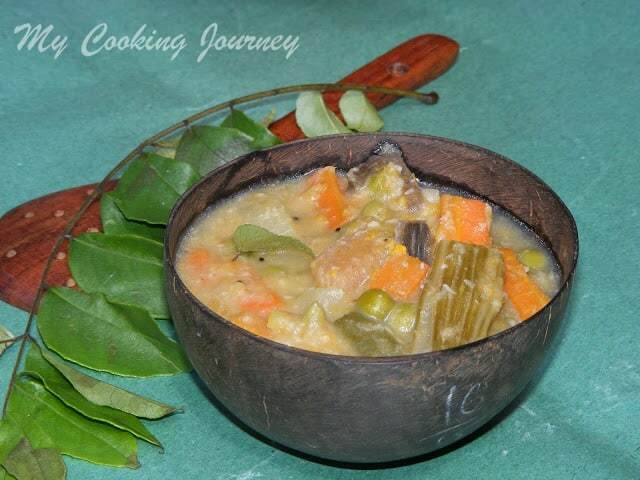 Aviyal is a very famous Kerala dish, but seen in every Tamil weddings. 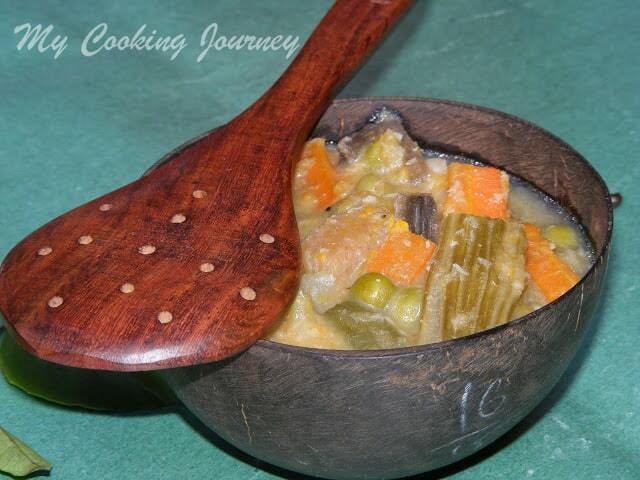 Aviyal is one of a side dish that utilizes lot of vegetables. I see it as a way to use up all the left over vegetables in the house. 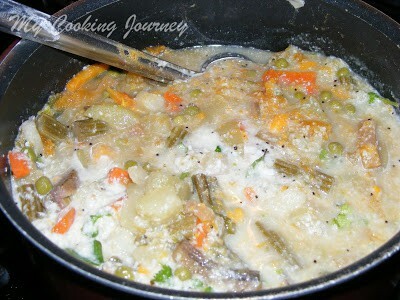 Also it is a very good recipe to make for the kids as we can get many vegetables inside their meal. You can add more or less vegetables as you prefer. I am listing out all the vegetables I used, but feel free to use what your favorites are. Chop all the vegetables and cook it enough water. 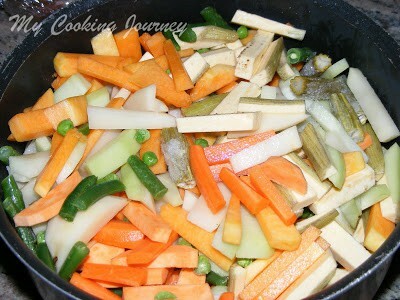 Add water to cover the vegetables and cook it on medium heat until the vegetables are ¾th done. If adding turmeric powder, add that too and then boil. 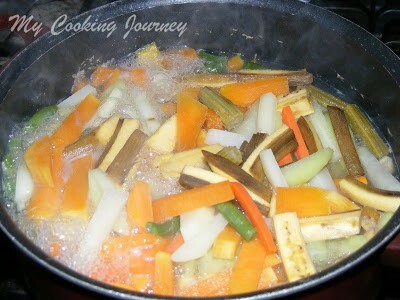 When the vegetables are 3/4th done, add the salt and let it cook for few more minutes. 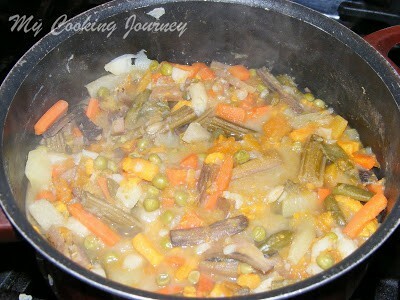 Make sure all the vegetables are cooked through but are not mushy. Grind all the ingredients listed and add this mixture to the cooked vegetable. Let it come to a boil. Mix the rice flour in about 4 tbsp of water and then add this to the aviyal. Let it boil again. 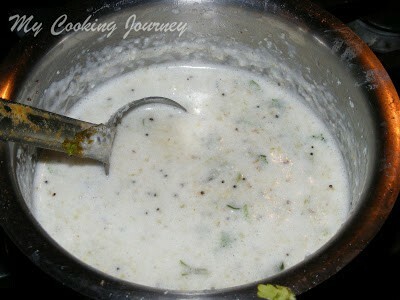 The rice flour helps in thickening the aviyal. 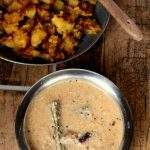 Temper the mustard seeds and curry leaves in coconut oil and add it to the aviyal. reheat it. So add yogurt to small quantities that would be used up in one go. 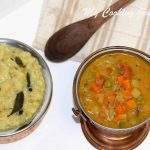 Serve hot with Paruppu saadham (rice with dhal). 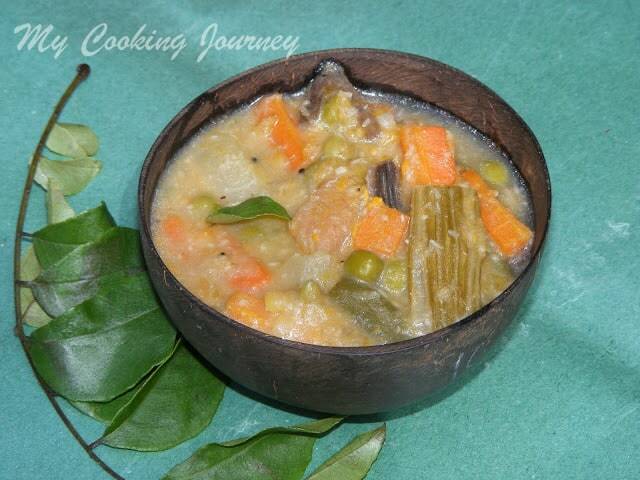 Aviyal is also usually served with mixed rice varieties like Puliyodharai and coconut rice. 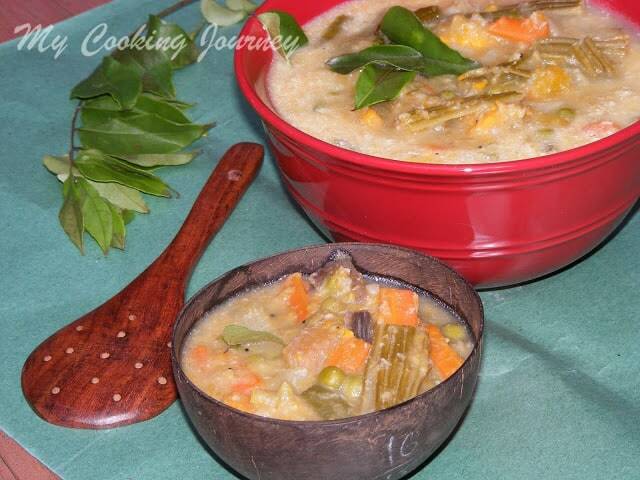 Avial is one of my favorite side dishes. It truly is yummy. 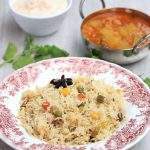 Very traditional and one of our family favourite dish,inviting. 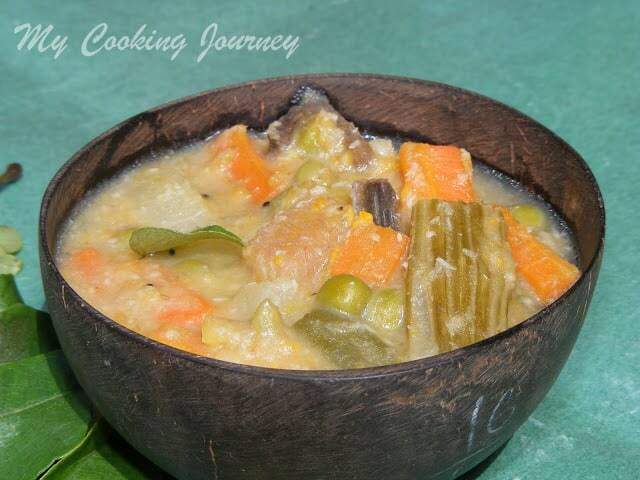 Wow I am drooling over here… Soooo healthy n delicious curry.. 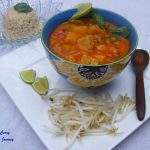 This is my all time favourite dish with rice 🙂 Looks really tasty!!! yea I remember this dish being part of the wedding menu. Somehow the avials they serve always tastes so different and more delicious!…your bowl looks pleasing..
very traditional and very healthy!!! love the antique style vessel you have used to serve it!! I can stay with these simple avail an time. Nice presentation. 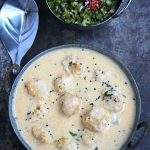 I love this dish & you have made it so well! My mom makes it without the coconut oil seasoning and we love it! I love that bowl you have used to serve..well, I probably have made it twice , but we all loved the flavor…a good reminder to remake soon. lovely click, and agree with Vaishali, nice bowl.